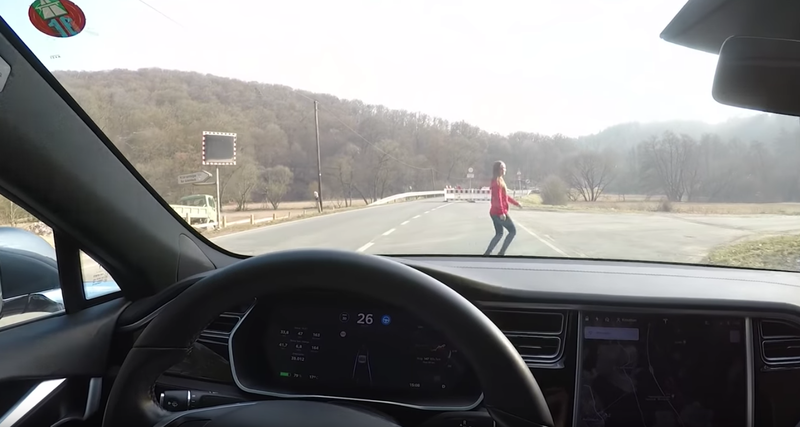 It’s worth pointing out that in his first test, he has autopilot on and gets up to a speed of around 31km/h. That’s a pretty good clip when you’re talking about 1,814kg of Muskmachine hurling at a human woman. 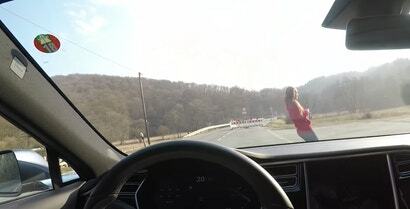 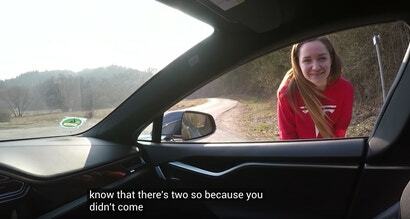 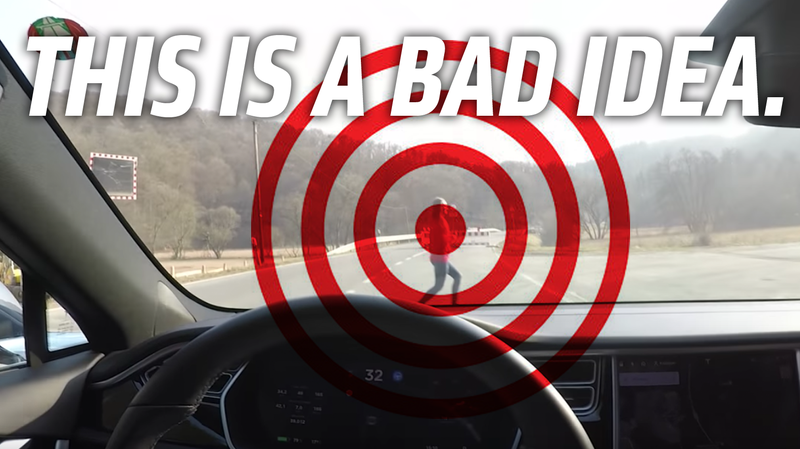 Safety is a top priority at Tesla, and anyone attempting to purposefully strike another person or object with their Tesla is misusing the vehicle. 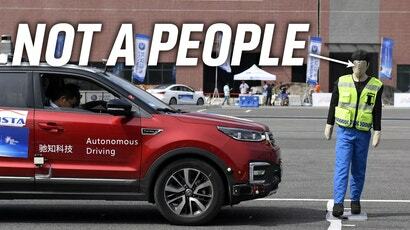 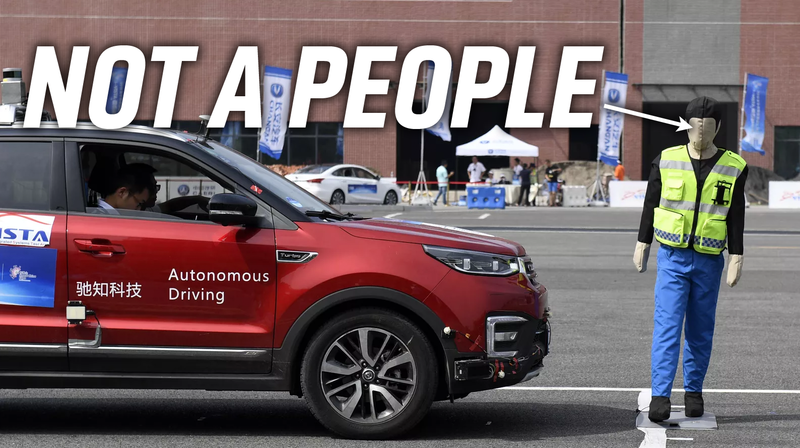 It is paramount that our customers exercise safe behaviour when using our vehicles, including remaining alert and ready to resume control at all times when using the car’s autonomous features, and braking to avoid a collision. Warning: Automatic Emergency Braking is not designed to prevent a collision. 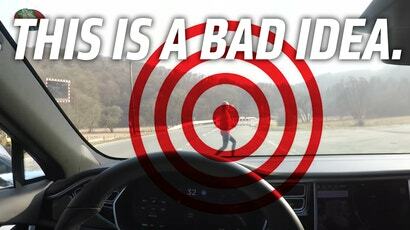 At best, it can minimise the impact of a frontal collision by attempting to reduce your driving speed.